The Secretary of the Army is a senior civilian official within the Department of Defense of the United States with statutory responsibility for all matters relating to the United States Army: manpower, personnel, reserve affairs, installations, environmental issues, weapons systems and equipment acquisition, communications, and financial management. The Secretary of the Air Force is the head of the Department of the Air Force, a component organization within the United States Department of Defense. The Secretary of the Air Force is appointed from civilian life by the President, by and with the advice and consent of the Senate. The Secretary reports to the Secretary of Defense and/or the Deputy Secretary of Defense, and is by statute responsible for and has the authority to conduct all the affairs of the Department of the Air Force. 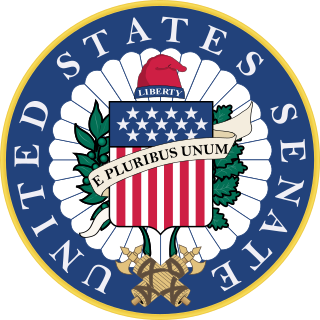 The National Security Act of 1947 was a major restructuring of the United States government's military and intelligence agencies following World War II. The majority of the provisions of the Act took effect on September 18, 1947, the day after the Senate confirmed James Forrestal as the first Secretary of Defense. The Department of the Navy (DoN) consists of two Uniformed Services: the United States Navy and the United States Marine Corps. 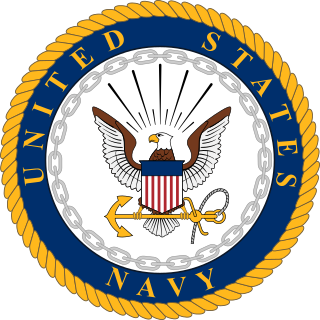 The Secretary of the Navy is responsible for, and has statutory authority (10 U.S.C. § 5013) to "conduct all the affairs of the Department of the Navy", i.e. as its chief executive officer, subject to the limits of the law, and the directions of the President and the Secretary of Defense. In effect, all authority within the Navy and Marine Corps, unless specifically exempted by law, is derivative of the authority vested in the Secretary of the Navy. The Secretary of Defense (SecDef) is the leader and chief executive officer of the United States Department of Defense, the executive department of the Armed Forces of the U.S. The Secretary of Defense's position of command and authority over the U.S. military is second only to that of the President and Congress, respectively. This position corresponds to what is generally known as a Defense Minister in many other countries. The Secretary of Defense is appointed by the President with the advice and consent of the Senate, and is by custom a member of the Cabinet and by law a member of the National Security Council. The Defense Acquisition Board (DAB) is the senior advisory board for defense acquisitions in the Department of Defense of the United States of America. The board is chaired by the Under Secretary of Defense for Acquisition, Technology and Logistics and includes the Vice Chairman of the Joint Chiefs of Staff, the Service Secretaries, and a number of Under Secretaries of Defense. The DAB plays an important role in the Defense Acquisition System. 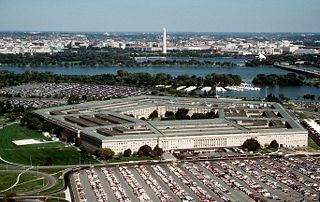 Members of this board are responsible for approving the Major Defense Acquisition Programs (MDAPs) and serve as the most important executive review of expensive acquisition projects that would have potentially large impacts on how wars are fought — things like new tanks, fighter aircraft, or C3 systems. The Uniform Code of Military Justice is the foundation of military law in the United States. 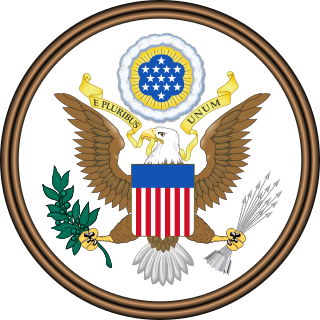 It was established by the United States Congress in accordance with the authority given by the United States Constitution in Article I, Section 8, which provides that "The Congress shall have Power....To make Rules for the Government and Regulation of the land and naval forces". The Chief of Naval Operations and the Commandant of the Marine Corps have their own separate staffs, the Office of the Chief of Naval Operations (also known by its acronym OPNAV) and Headquarters Marine Corps . The Commandant of the Marine Corps (CMC) is normally the highest-ranking officer in the United States Marine Corps and is a member of the Joint Chiefs of Staff. The CMC reports directly to the United States Secretary of the Navy and is responsible for ensuring the organization, policy, plans, and programs for the Marine Corps as well as advising the President, the Secretary of Defense, the National Security Council, the Homeland Security Council, and the Secretary of the Navy on matters involving the Marine Corps. Under the authority of the Secretary of the Navy, the CMC designates Marine personnel and resources to the commanders of Unified Combatant Commands. The Commandant performs all other functions prescribed in Section 5043 in Title 10 of the United States Code or delegates those duties and responsibilities to other officers in his administration in his name. 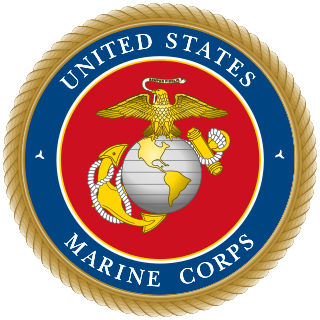 As with the other joint chiefs, the Commandant is an administrative position and has no operational command authority over United States Marine Corps forces. The Joint Chiefs of Staff (JCS) is a body of senior uniformed leaders in the United States Department of Defense who advise the President of the United States, the Secretary of Defense, the Homeland Security Council and the National Security Council on military matters. The composition of the Joint Chiefs of Staff is defined by statute and consists of the Chairman of the Joint Chiefs of Staff (CJCS), Vice Chairman of the Joint Chiefs of Staff (VCJCS), the Military Service Chiefs from the Army, Marine Corps, Navy, and Air Force, and the Chief of the National Guard Bureau, all appointed by the President following Senate confirmation. Each of the individual Military Service Chiefs, outside their Joint Chiefs of Staff obligations, works directly for the Secretary of the Military Department concerned, i.e., Secretary of the Army, Secretary of the Navy, and the Secretary of the Air Force. The Chairman of the Joint Chiefs of Staff (CJCS) is, by U.S. law, the highest-ranking and senior-most military officer in the United States Armed Forces and is the principal military advisor to the President, the National Security Council, the Homeland Security Council, and the Secretary of Defense. While the Chairman of the Joint Chiefs of Staff outranks all other commissioned officers, they are prohibited by law from having operational command authority over the armed forces; however, the Chairman does assist the President and the Secretary of Defense in exercising their command functions. The several branches of the United States Armed Forces are represented by flags, among other emblems and insignia. Within each branch, various flags fly on various occasions, and on various ships, bases, camps, and military academies. The Naval Postgraduate School (NPS) is a public graduate school operated by the United States Navy and located in Monterey, California. It grants master’s degrees, doctoral degrees, and certificates. Established in 1909, the school also offers research fellowship opportunities at the postdoctoral level through the National Academies’ National Research Council research associateship program. Francis Patrick Matthews served as the 8th Supreme Knight of the Knights of Columbus from 1939 to 1945, the 49th United States Secretary of the Navy from 1949 to 1951, and United States Ambassador to Ireland from 1951 to 1952. James F. "Jim" Amos is a former United States Marine Corps officer who served as the 35th Commandant of the Marine Corps. As a Naval Aviator, Amos commanded the 3rd Marine Aircraft Wing during the Iraq War in 2003 and 2004. He served as the 31st Assistant Commandant of the Marine Corps from 2008 to 2010, and was the first Marine Corps aviator to serve as commandant. The Assistant Secretary of the Navy is a civilian office in the United States Department of the Navy. The Assistant Secretary of the Navy reports to the Under Secretary of the Navy who in turn reports to the United States Secretary of the Navy. 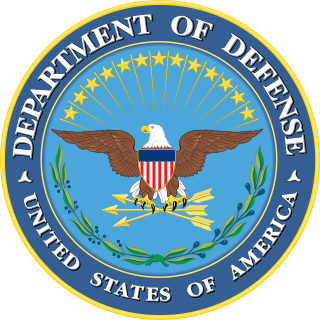 The United States Department of Defense (DoD) has a complex organizational structure. It includes the Army, Navy, Air Force, the Unified combatant commands, U.S. elements of multinational commands, as well as non-combat agencies such as the Defense Intelligence Agency and the National Security Agency. The DoD's annual budget was roughly US$496.1 billion in 2015. This figure is the base amount and does not include the $64.3 billion spent on "War/Non-War Supplementals". Including those items brings the total to $560.6 billion for 2015. Richard Vaughn Spencer is an American politician and businessman who currently serves as the 76th United States Secretary of the Navy. Spencer served in the U.S. Marine Corps from 1976 to 1981 as a Marine Aviator and also served as Vice Chairman and Chief Financial Officer of Intercontinental Exchange from November 2001 to January 2008. ↑ "Guide to Federal Records – General Records of the Department of the Navy, 1798–1947" . Retrieved 23 September 2007. ↑ "The US Navy" . Retrieved 23 September 2007. ↑ "US CODE: Title 10,5013. Secretary of the Navy" . Retrieved 23 September 2007. ↑ "U.S. Navy Biographies – The Honorable Donald C. Winter" . Retrieved 23 September 2007. ↑ "US CODE: Title 10,5013a. Secretary of the Navy: powers with respect to Coast Guard" . Retrieved 23 September 2007. ↑ "US CODE: Title 10,5014. Office of the Secretary of the Navy" . Retrieved 23 September 2007. ↑ "Department of the Navy, Office of the General Counsel (DON-OGC) – OGC History". Archived from the original on 24 July 2007. Retrieved 23 September 2007. ↑ Cahoon, Ben (2000). "United States Government". World Statesmen. Retrieved 14 April 2009. ↑ Joseph Hewes. Dictionary of American Naval Fighting Ships. Naval Historical and Heritage Command. 1 2 3 4 Staff reporter (29 December 2005). "Acting Deputy Defense Secretary Relinquishes Top Navy Post". American Forces Press Service. Retrieved 18 May 2009. Navy Undersecretary Dionel M. Aviles will serve as acting Navy secretary effective today. Donald Winter, who was confirmed by the Senate last month, will be sworn in as the 74th secretary of the Navy on Jan. 3. 1 2 3 "Navy Secretary Departs Office" (Press release). United States Department of Defense. 13 March 2009. Retrieved 18 May 2009. The 74th Secretary of the Navy, Donald C. Winter, resigned his office today as planned. Winter had agreed to remain in office until March 13, 2009, to ease the transition of the Department of Defense. [...] BJ Penn will be the acting Secretary of the Navy until the Senate confirms a nominee chosen by President Barack Obama. 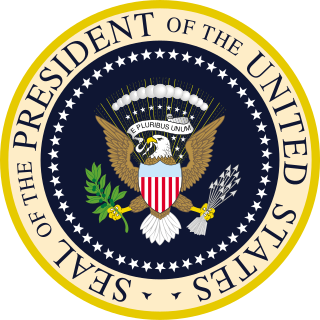 Wikimedia Commons has media related to United States Secretaries of the Navy .